This recipe came from the Wisconsin Cranberry Discovery Center in Warrens, WI. This recipe is quick and healthy. Mix all ingredients together in a blender and serve. Garnish with frozen cranberry dripped in sugar. Makes two servings. 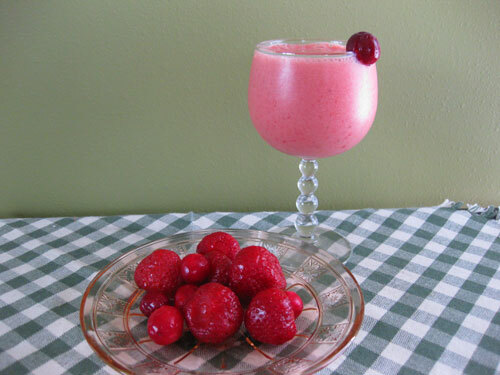 This entry was posted on Tuesday, March 2nd, 2010 at 10:14 pm	and is filed under Recipes. You can follow any responses to this entry through the RSS 2.0 feed. Both comments and pings are currently closed.